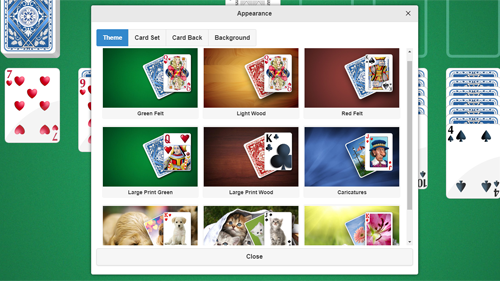 - Change 123 Free Solitaire's Appearance with just one click with the new "Themes"! Each "Theme" includes a background, a card set and a card back. 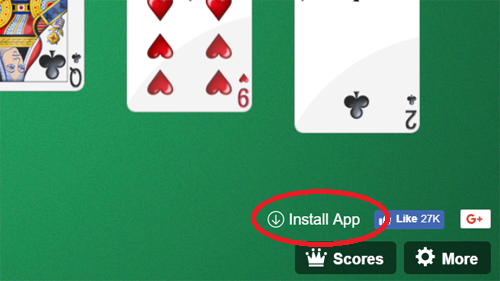 - Add a 123 Free Solitaire icon to your desktop with the new "Install App" feature! Simply click on this link and then hit "Install App"